Home Information You can now buy TRON TRX through ATM in U.S.
You can now buy TRON TRX through ATM in U.S.
A few years ago, you have probably heard of Bitcoin Automatic Teller Machine (ATM) which makes headlines. It is indeed amazing for us to be able to purchase cryptocurrency through ATM in real life. However, you probably haven’t heard of an ATM offering ERC20 token. For those who are not familiar, ERC stands for Ethereum Request for Comments and ‘20’ is the unique proposal ID number. Therefore, ERC20 defines a common list of rules for all Ethereum tokens to follow. Out of that many ERC20 tokens in the world, CoinFlip — a company that strives to provide the best cash to crypto experience possible chose TRON to be integrated to their ATM and became the first ever company that offers ERC20 token on ATM. 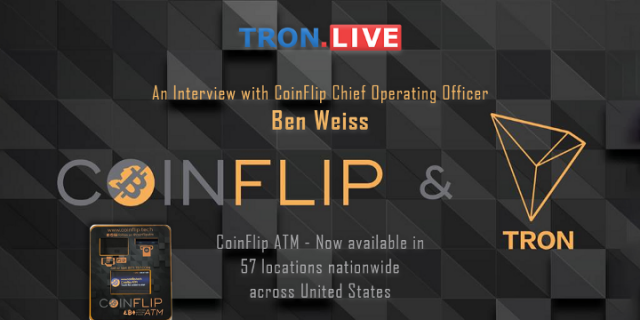 TronLive have been engaged with CoinFlip and conducted an online interview to show the world what CoinFlip has to offer. Here we have Ben Weiss, the Chief Operating Officer (COO) of CoinFlip. TronLive: Hello Ben, as our introduction to Daniel (Co-Founder/CEO of CoinFlip) before, we are TronLive — a TRON community dedicated to connecting people together and bringing informative and accurate information to a greater audience. Daniel pointed us to you to ask about the recent addition of TRON to CoinFlip’s ATM. Before we go on further, can you give us a brief introduction of yourself and what you handle in CoinFlip? I’m Ben Weiss and I’m the COO of CoinFlip. I manage relationships with our key partners to make sure the customer experience is smooth from start to finish, every day. TronLive: We can see that CoinFlip ATM machine provides the customer a convenient way to purchase cryptocurrency in real life. CoinFlip machines offer Bitcoin, Ethereum, Litecoin and now TRON to be purchased with Fiat (cash). Out of a total of 65735 ERC20 token contracts to date, can you let us know why CoinFlip chose TRON as the first ERC20 token to be listed on ATM? We’re excited to make history by being the first company to allow users to purchase ERC20 tokens directly with cash. We will be rolling out more coins in the future as we look to provide the most options to consumers. Tron is one of the biggest tokens out on the market right now, so it seemed like a natural fit for our first ECR20 token. TronLive: I believed you know that TRON is a decentralized content entertainment platform based on blockchain technology and has the ultimate goal of decentralizing the Internet. Can you let us know your personal opinion on TRON and how you think it can help more people? We don’t give personal opinions or investment advice of any kind. However, we chose to implement TRON due to high customer demand, high trading volume, and large overall market cap. We love listening to customer feedback and will continue to work hard to integrate the most popular tokens into our terminals. The entire cryptocurrency space is exciting and the technology being developed, while young, is promising. TronLive: Yes, the entire cryptocurrency space is indeed exciting and promising. And we are sure that it’s a good news for U.S. customers as well because those that couldn’t buy TRON before can now purchase it from one of CoinFlip ATM across 57 locations nationwide. Can you briefly describe a typical use case on how to purchase TRON with CoinFlip? That is, what are the requirements, what about typical time and fees for a transaction, etc? The process for buying TRON is just as easy as buying Bitcoin, Ethereum, and Litecoin at our ATMs. Customers sign into the terminal using a valid phone number. For amounts between $700-$3000, a valid government issued ID is also required. Then, it’s as simple as scanning an Ethereum wallet QR code and inserting cash. Make sure you’re using an Ethereum wallet that supports ERC20 tokens. You can also deposit TRON directly into an exchange account. Our fees are 6.9% for every crypto we offer and 3.5% if you are looking to sell, which happens to be the lowest rates for ATMs nationwide. 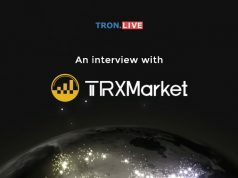 TronLive: Thanks for the details. What about time wise? This sure is an important factor that customer takes into consideration. How long roughly does it take for the customer to operate your machine and receive TRX for example in his/her wallet? After the transaction is completed at one of our terminals, the actual transaction is instantly broadcasted to the network with gas prices set to confirm in roughly 1–2 blocks. So on average, the customer will have their TRX, confirmed, in about a minute. TronLive: TRON while being an ERC20 token currently is moving to its own blockchain (mainnet) on May 31. What’s CoinFlip plan for this situation? Will your teller machines be upgraded to integrate TRX coin after TRX shifted out from being an ERC20 token? How will the transition take place on the teller machines? Great question! We will certainly integrate the native TRX coin when the mainnet launches in May. This will be a seamless process and customers will be able to purchase TRX the same way they are buying the ERC20 token now. Customers will have to download a new TRON-specific wallet. That will be the only difference. TronLive: Lastly, can you let us know what’s CoinFlip plan for the near future? Let’s say by the end of this year. What about years to come? 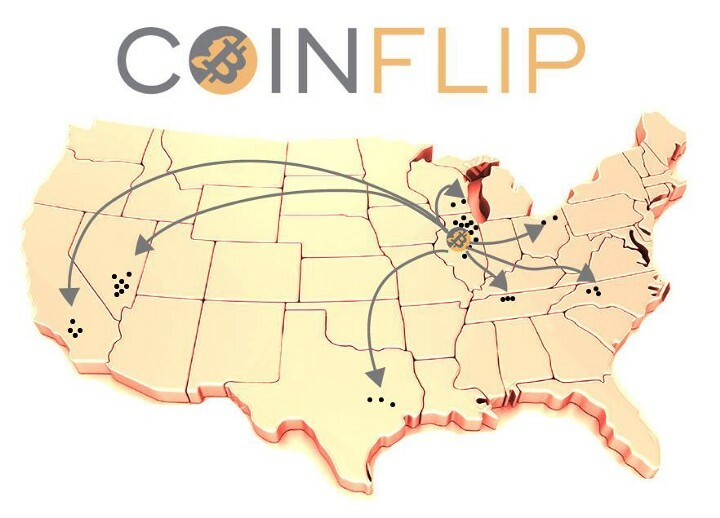 CoinFlip plans to roll out hundreds of machines in the United States by the end of the year and more in other parts of the world. Furthermore, we will be adding new coins every single month to give our customers as many options as possible. Our mission is to make cryptocurrencies accessible to everyone. We believe in a future fueled by blockchains. Everyone deserves to be a part of this technological revolution. TronLive: It certainly sounds promising Ben. 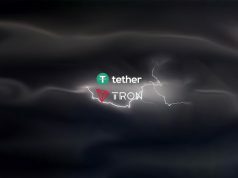 Thanks for sharing this information with TronLive. It’s nice to see the growth of crypto into our daily lives and CoinFlip providing people another method to obtain cryptocurrencies. Let us witness this revolutionary growth of crypto and blockchain! Thank you, Ben, thank you Daniel and the CoinFlip team.